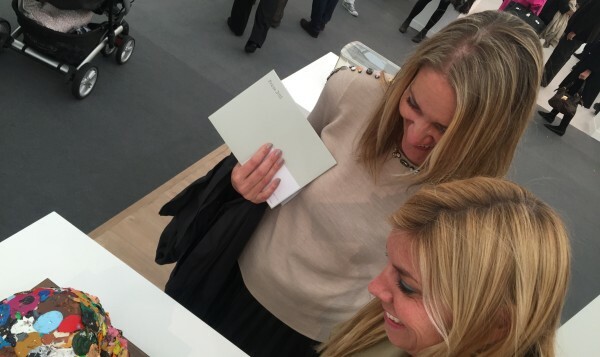 The Little Nell, Aspen Skiing Company and the Aspen Chamber Resort Association were in London last week for Frieze London, one of the world’s leading contemporary art fairs, held in Regent’s Park from October 14 to 17. 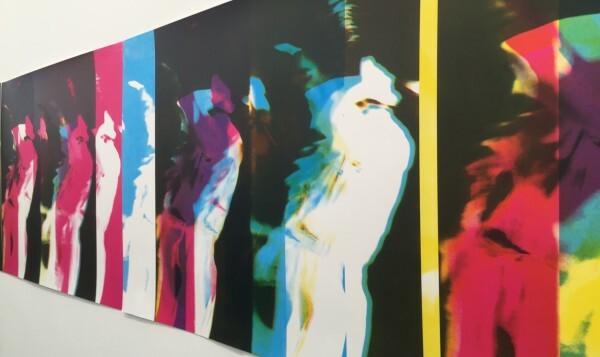 The 13th edition of the fair featured works from 164 galleries from 27 countries, primarily post year 2000, as well as Frieze Masters, now in its fourth year, which showcased 130 galleries’ works of art set over a time span of several thousand years made before 2000. The flurry of sales was remarkable, with the most expensive work sold being a new piece by Damien Hirst Holbein (Artist’s Watercolours), at White Cube, which went for over $1.2 million within the first hour of the VIP preview. 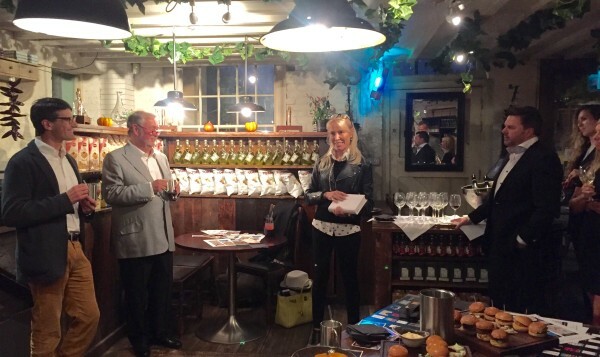 For the Aspen descent upon London, the trilogy of partners hosted a trio of events during Frieze week in the theme of the “Art of Skiing,” welcoming longtime London visitors to Aspen and leading ski media from the U.K., highlighting the integration of art throughout town and on the slopes. 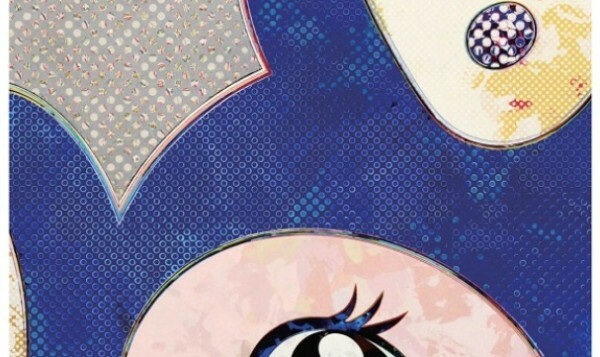 In keeping with the theme of “Art in Unexpected Places,” the decade-long partnership between Aspen Skiing Company and the Aspen Art Museum, the announcement of Japanese artist Takashi Murakami’s quartet of designs for the 2015-2016 lift tickets served as exciting news and a topical point of discussion. 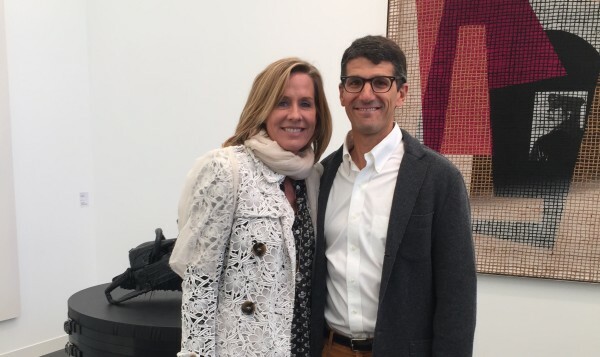 Aspen Art Museum’s CEO Heidi Zuckerman and members of their board of directors and national council were also onsite for the fair, joined by British artist Ryan Gander. His upcoming Make every show like it’s your last at the AAM opens on November 20, 2015, and will be his first solo museum exhibition in the United States. Learn more about the contemporary art collection at The Nell here. 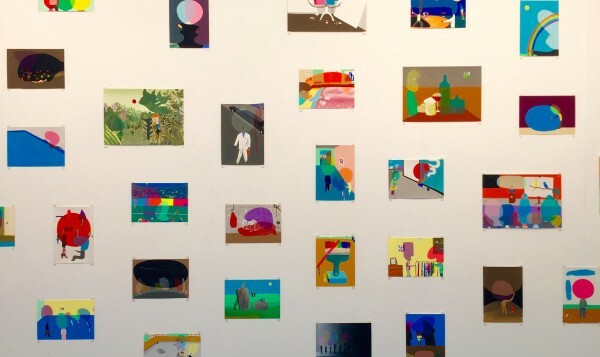 Abstract prints at Frieze London. Viewing Dead Paint by artist Djordje Osbolt. Laura and Mike Kaplan, CEO of the Aspen Skiing Company. Colorful paintings by Peter McDonald. 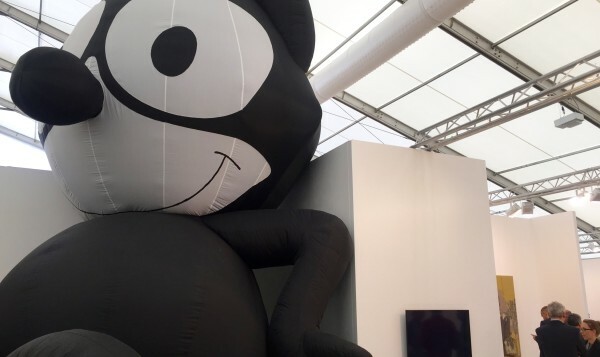 A larger-than-life Felix the Cat by Mark Leckey. Artist Paula Crown welcomes guests to a pre-Frieze Masters reception. One of Taskashi Murakami’s lift ticket designs for the 2015/2106 season. 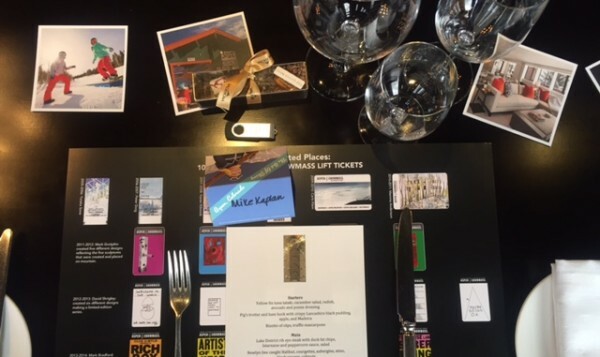 An Art of Skiing place setting for our media lunch in London.